Do you want to be able to look past the window of another culture? Do you want to walk through the door and experience the culture? A language tutor is a great way to get ahead before you arrive. If you want to immerse yourself in a foreign culture, then you need to speak a common language. Speaking another tongue (or even a little) gives you access to so much more than just relying on your body language and a phrase book. It helps you haggle better, break down barriers, start friendships, and understand the culture at its roots. Less than 5% of the world’s population speak English. Travelling independently through China without any Mandarin or through South America without any Spanish is the difficult way to do it. Why not learn the lingo? Even if just a little. Both Chinese Mandarin and Spanish have more speakers than English. Hindi, Portuguese, Arabic, French and Russia are all popular and helpful in the countries they are spoken. If you want to find someone to teach you before you go, register as a member and search our database. 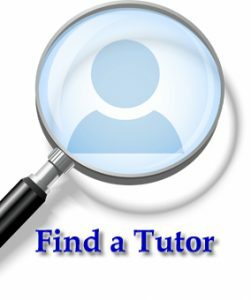 If you are a tutor, register as a tutor on our database. Provide your contact details so that people can find you. Soon you will be speaking a new tongue and communicating with people you would otherwise be unable. Hello, Bonjour, Hola, Ni Hao, Guten Tag, Priveet, Merhaba, Namaste, etc. Lets open up your world.